There is plenty of talk around the online Word processor space and the online Spreadsheet space but you don’t hear as much about the online Presentation space (think online PowerPoint). This is one plank currently missing from Google’s online Office offering. The other CIX guys and I have a need to create a presentation and, as we are all based in different offices, an online Presentation tool seemed like the way to go. 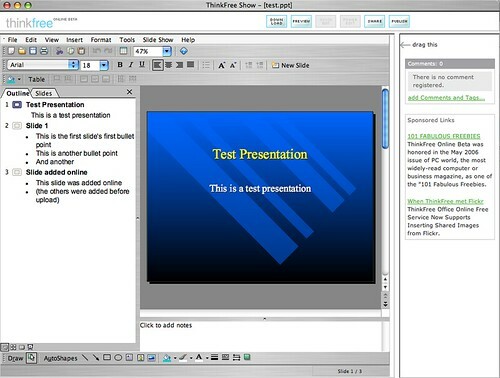 I had a look through three of the online Presentation tools I am aware of – Thumbstacks, Zoho Show, and ThinkFree. Because of the poor interface and the lack of support for Safari, I didn’t bother going much farther than the online demo with Thumbstacks. The next was Zoho Show. 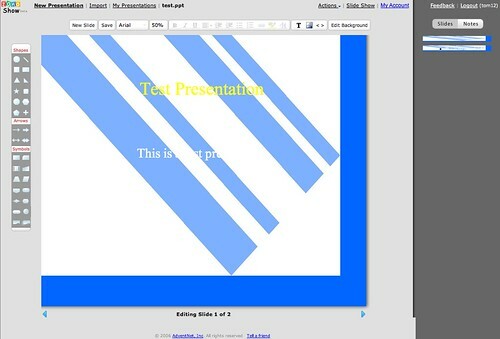 To test this, I created a simple (28kb) 2 slide PowerPoint presentation using the builtin Blue Diagonal template. I uploaded it to Zoho Show only to have it appear as below. Ugh! Finally, I uploaded the same presentation to ThinkFree and it rendered perfectly. ThinkFree didn’t maintain the transitions between the slides but had no problems allowing me to edit the presentation adding slides and bullet points to my heart’s content. ThinkFree is written in Java so it takes a long time to load, the first time you run it, but thereafter it loads faster. Its functionality is very comprehensive even allowing me to add transitions to slides (but I couldn’t find a way to add transitions to bullet points). I was easily able to add collaborators (although I haven’t heard back from them yet to see what their impressions were). Zoho Show has a 5mb upload limit whereas ThinkFree’s upload limit is 10mb. This is an important differentiator considering PowerPoint files are typically quite large. I should mention that both Zoho and ThinkFree have other offerings like online Word Processors and Spreadsheets but I didn’t look into their functionality this time out. So, the number of offerings in online Presentation space is limited and, so far, ThinkFree seems to be the best of them. 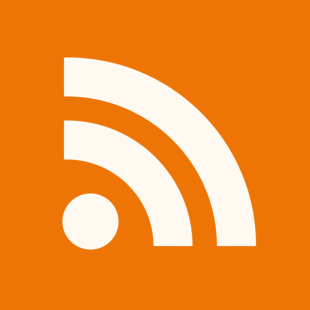 Try BillboardXT and let me know what you think. Here is the URL http://www.XtraTek.com and click demo link. Might be time to do an update on this post and include SlideRocket?